The size of your scooter's engine dictates the type of license to pursue or, in some cases, not to pursue. 50cc or Smaller: Some states require a regular drivers license or learners permit; others don't require any licensing, mandating only that you be a certain age. Larger than 50cc: Requires a regular drivers license with a motorcycle endorsement. Before pursuing a particular license, check your state's requirements. 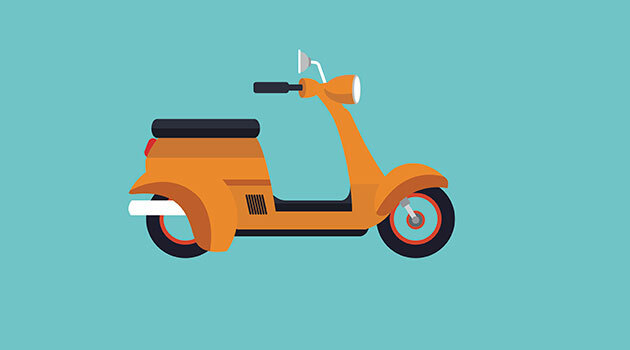 Keep in mind that many states use other names for scooters and mopeds such as motorized bikes or bicycles, low-speed motorcycles, and even motorcycles. NOTE: Dealership owners are well educated on local scooter licensing laws, so if you're buying a scooter or moped you can ask the salesman about licensing requirements before you leave the lot. Must be a certain age. Many states require an operator to be at least 16. Obtain a motorcycle license (or endorsement) if the bike's engine exceeds 50cc. This is universal with all states. Before riding, also educate yourself on possible related laws on helmets, registration, insurance, and road accessibility. Have we missed anything? Share your bike expertise with our online community by leaving a comment below.